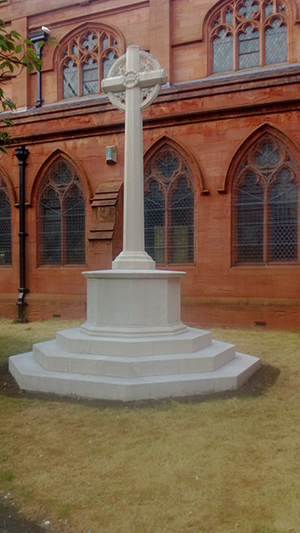 Kidderminster Memorials was formed nearly a decade ago by Scott who has been in the funeral/memorial business for many years, and along the way he has established a very good reputation for creating everlasting tributes at affordable prices. Scott will work closely with you to create a traditional or modern memorial to suit any budget, he will listen to your thoughts and give you his professional advice and guidance if needed, his personal service is second to none which you will not find anywhere else. Scott's office and showroom at Lisle Avenue stocks many different types of memorials for burial or cremation in different shapes, colours, materials, and styles which are all on show for you to see. Scott also has his very own state of the art workshops next door with the very latest equipment and machinery where he and his closely watched team of stone masons produce these everlasting memorials, by doing the work in their own workshops with their own equipment and machinery eliminates the high costs you may find elsewhere. Scott only uses the finest quality stone that is imported from around the world depending on your requirements. Scott is an accredited member of the British Register of Memorial Masons with a city and guilds qualifications in memorial masonry; he is also a bramm licensed memorial fitter, along with many other certificates and qualifications. 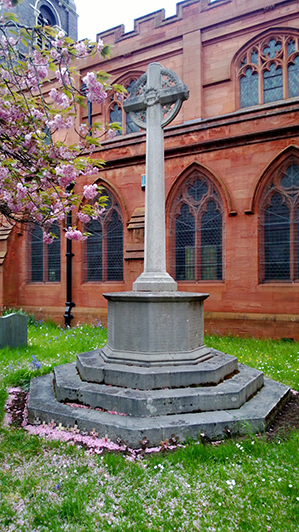 Scott has worked on many memorials around the country and he specialises in restoration work, Scott has restored many memorials over the years for many individual customers as well as the war commission, many local councils, local churches, organisations, and committees. Kidderminster Memorials has 5 star reviews on many websites and lots of testimonials left as well as his office walls full of thank you cards from previous customers which will give you peace of mind knowing that you are in the right hands. COVERING ALL OF THE WYRE FOREST AND SURROUNDING AREARS.